Excellence scholarships: Jean-Charles Naouri’s Foundation Euris selects the class of 2018. In the spirit of promoting excellence, every year’s crop of Fondation Euris is sponsored by an eminent personality. In any demographic you are likely to find disadvantaged persons in various contexts. Disadvantaged not because they do not have the drive or passion for what they do or want to achieve but because most settings operate on a system of elimination to enable operations with strained resources. You may be eliminated’ for example if you do not attain certain grades to qualify you for the next level of education or more commonly because you cannot afford to pay for tuition and other fees charged especially at tertiary level institutions. This is where good will from the more able persons in society or different institutions comes in to rescue the often desperate situation by offering financial assistance or otherwise. 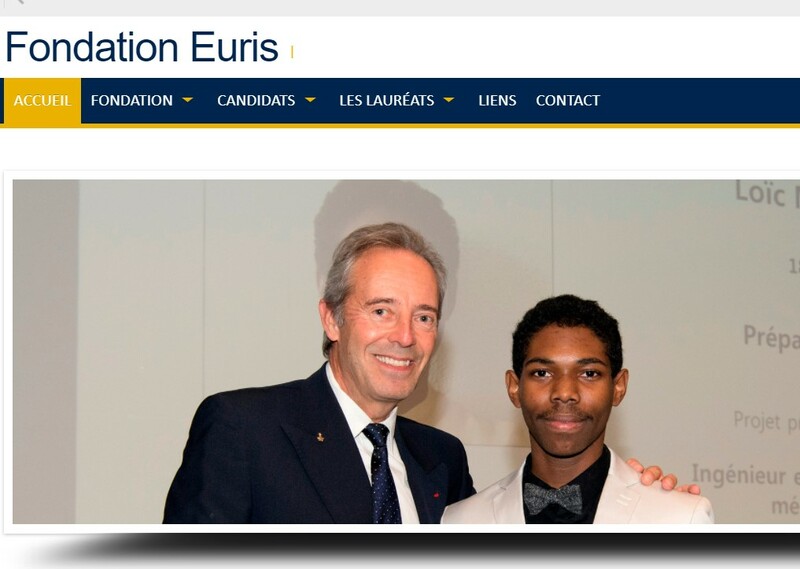 The Foundation Euris was founded in the year 2000 by Jean-Charles Naori, Chairman and CEO, Euris Groupe to help qualified students who come from a disadvantaged financial background realize their dreams. The foundation offers scholarships to twenty such cases every year to students with exceptional academic performance. The two-year scholarship is determined by the Foundation Executive Committee. This is also part of a Corporate Social Responsibility strategy by the group of companies which are behind many brands including Monoprix, Franprix, Geant, Casino. More than a scholarship other than just offering scholarships, the foundation also has an elaborate support program that monitors the students’ performance and offers advice on a range of issues targeted at helping the student achieve his or her goals be it academic or otherwise. The foundation seeks to close the gap between the numbers looking at students from the upper class who dominated tertiary institutions. A third of these students come from families where one or both parents are senior executives or Government officials. representatives from the Education sector. The main factors considered include academic excellence and financial disability. The Foundation Euris through its scholarship program through the founding Chairman Jean-Charles Naouri offers inspiration to the beneficiaries. This outstanding business leader is himself an academic giant having attended the Republican School, was overall winner of Concours general competitive exams, got accepted at Ecole Normale Superieure, attained a PhD in Mathematics, attended the Ecole Normale d’Administration, finally Harvard University. Certainly an inspiring individual.